Make a big impression! 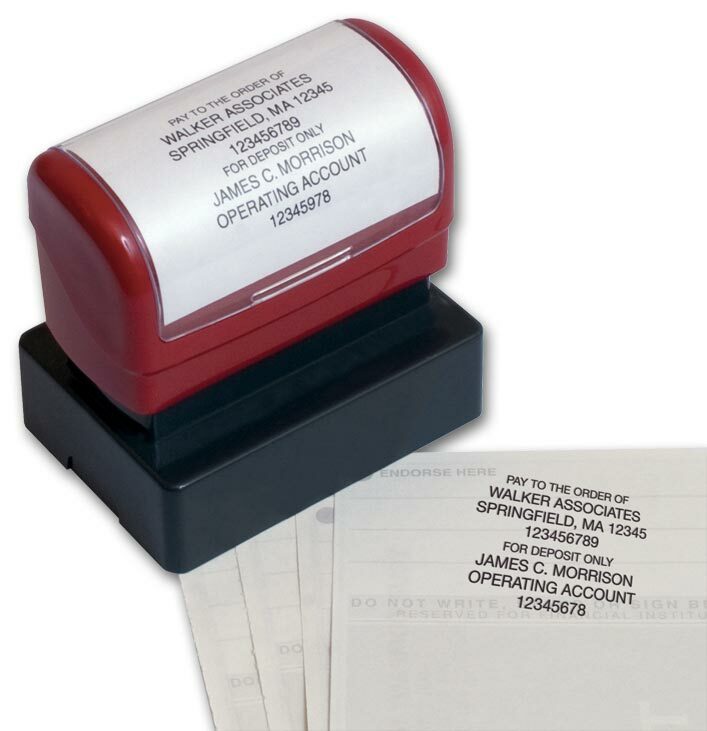 Customize our 6-line stamp with a monogram, standard logo or your own logo. Personalize it more with choice of border, ink color, and typestyle. 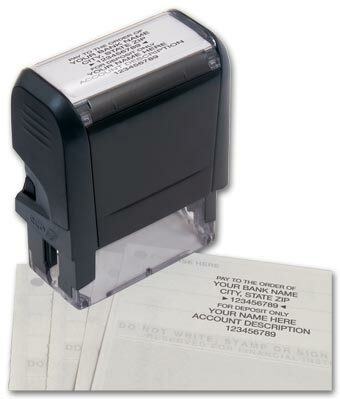 No messy ink pads. 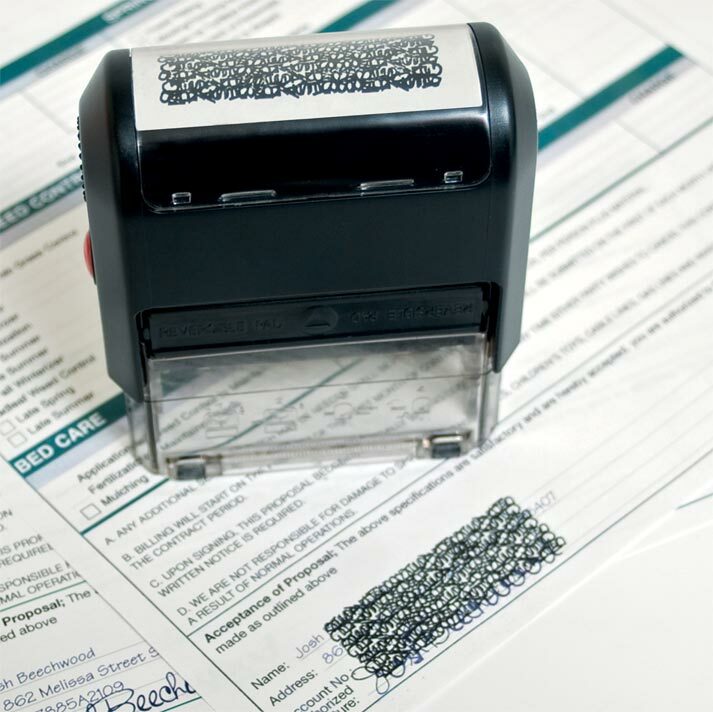 Rapid re-inking allows for repetitive use. Our most popular sized stamp! Make a statement when you customize our 5-line stamp with monogram, standard logo or your own logo. Personalize it more with choice of border, ink color and typestyle.No messy ink pads. 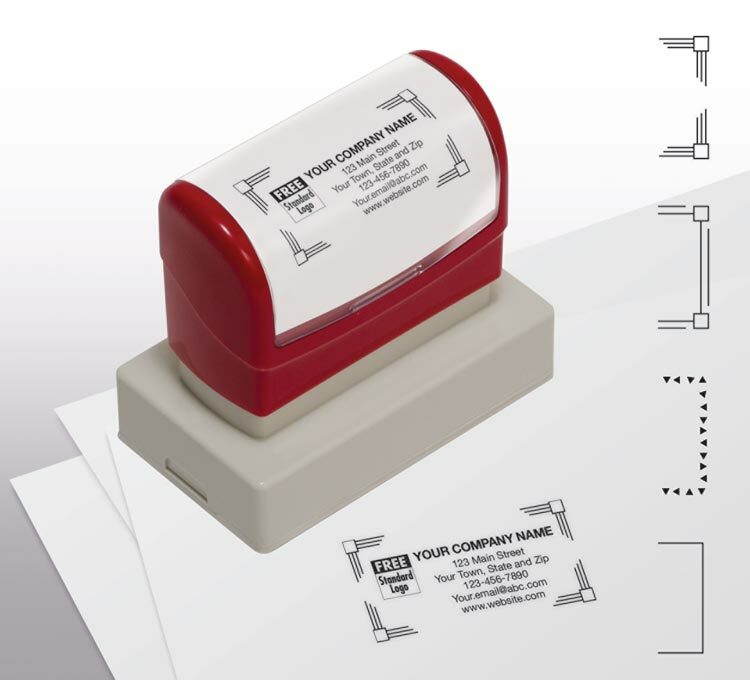 Rapid re-inking allows for repetitive use. Make a patriotic impression! Pre-inked, three-color stamp delivers thousands of eye-catching imprints, without messy ink pads. Make a big impression! Customize our 6-line stamp with a monogram, standard logo or your own logo. 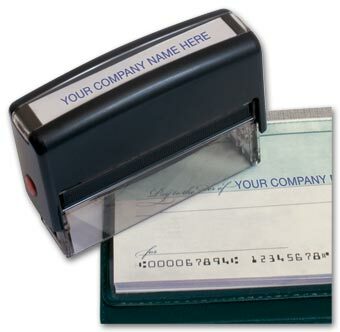 Personalize it more with choice of border, ink color and typestyle. No messy ink pads. 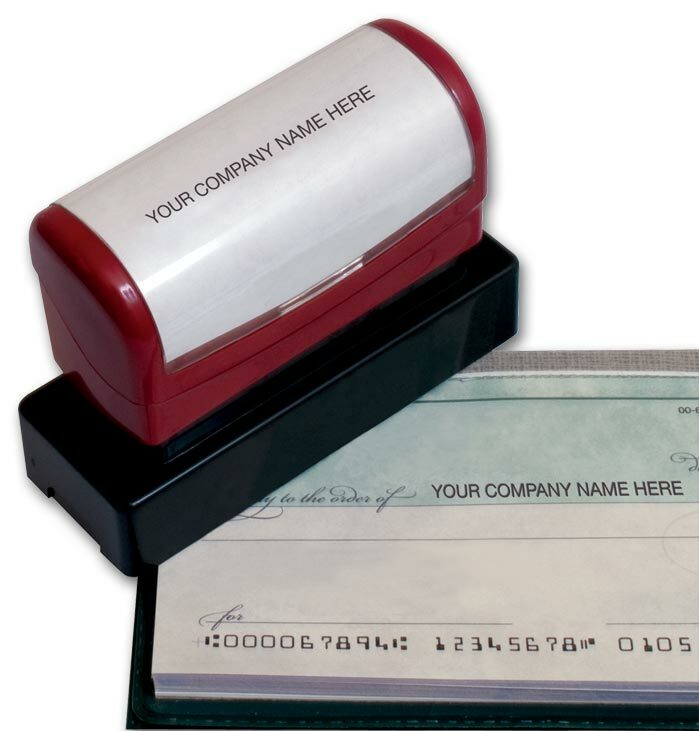 Clear impressions reduce risk of mistakes. Our most popular sized stamp! 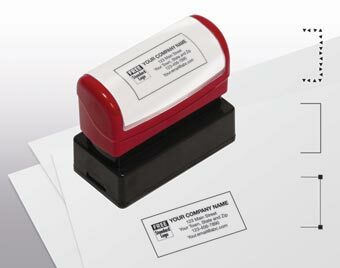 Make a statement when you customize our 5-line stamp with monogram, standard logo or your own logo. Personalize it more with choice of border, ink color and typestyle.No messy ink pads. 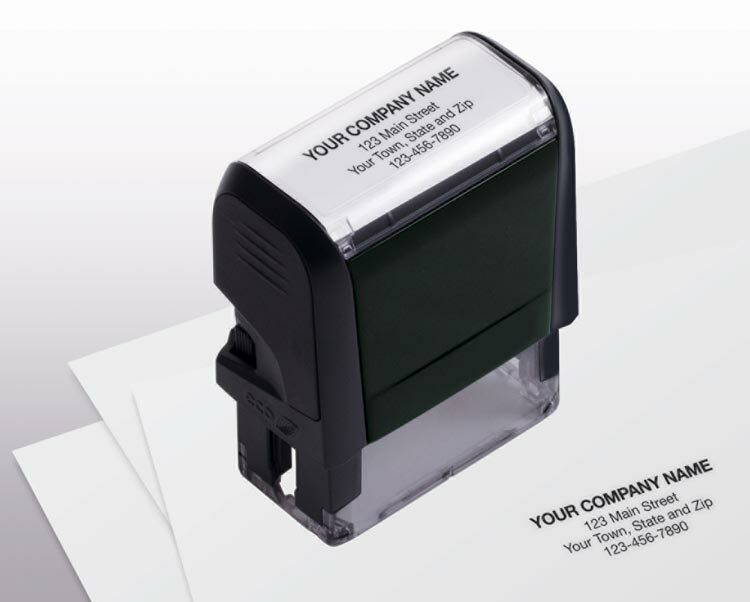 Clear impressions reduce risk of mistakes. Crisp and professional! 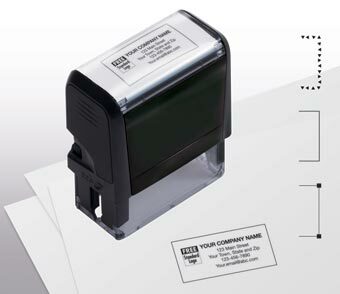 This pre-inked stamp is best for shorter addresses or smaller envelopes. 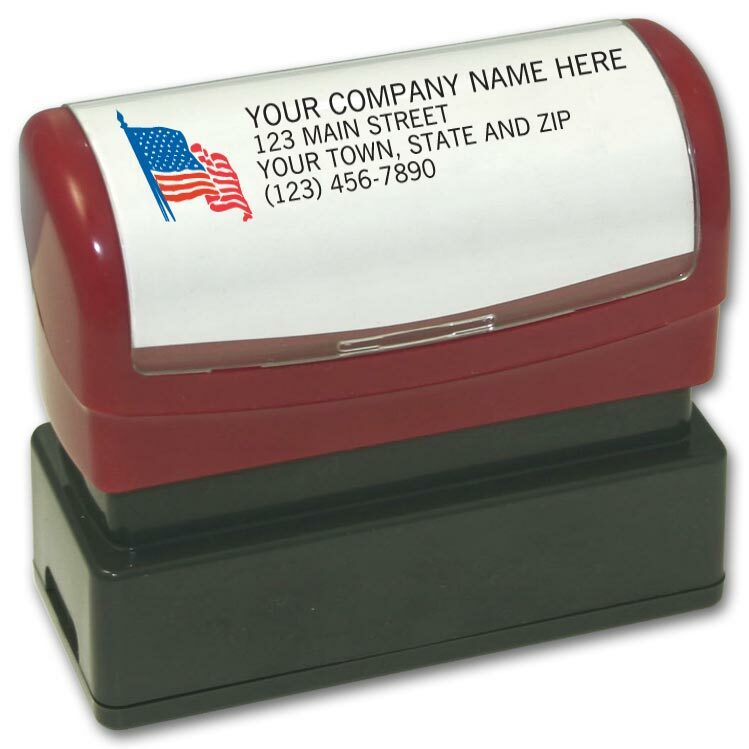 Imprint up to 4 lines and personalize it with your choice of ink color and typestyle. No messy ink pads. Clear impressions reduce risk of mistakes. 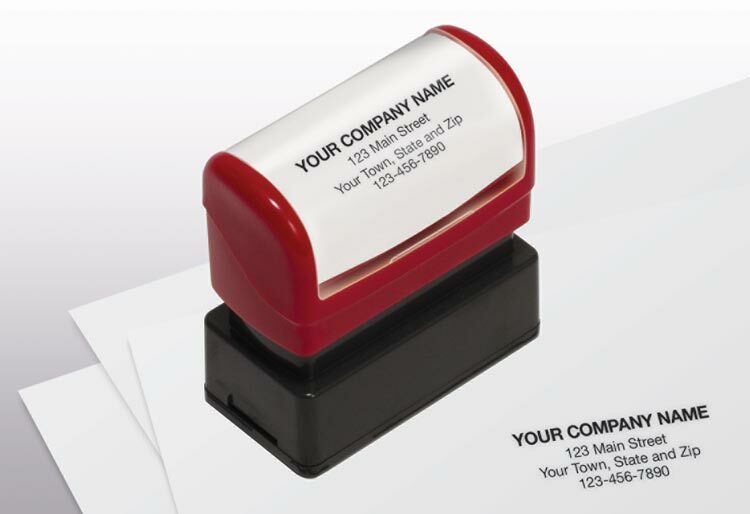 Sized to fit on standard business cards but also works great on receipts, brochures, and invoices.The perfect way to drive existing customers back to your business. Before they leave your store, give them a reason to come back. Also, great for driving traffic to your website.Customize your coupons and include a promo offer, deadline, and promo code (for tracking) to get the smartest and most effective marketing results. 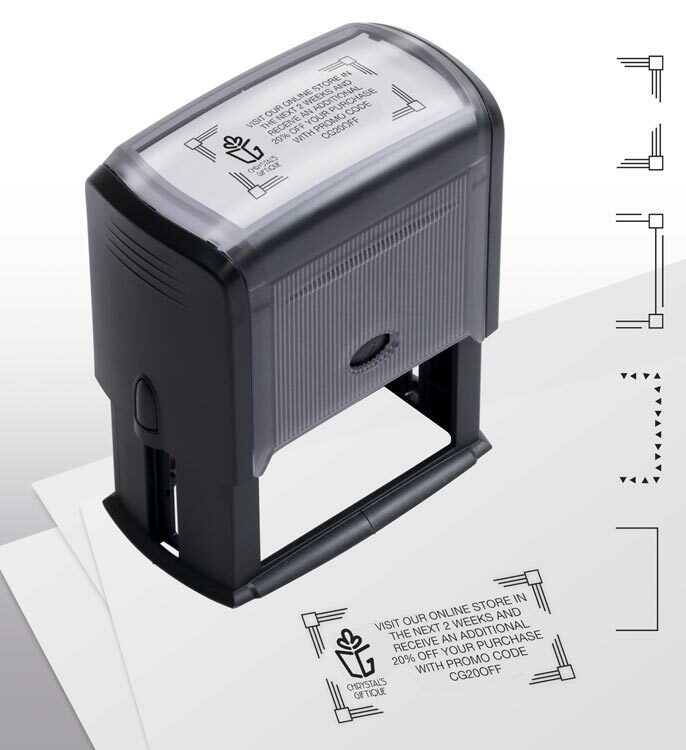 This self-inking stamp uses a unique pattern of lines, curves, and shapes to help mask sensitive information on documents you want to keep.Fantastic to use before faxing or making copies of documents to share with others. 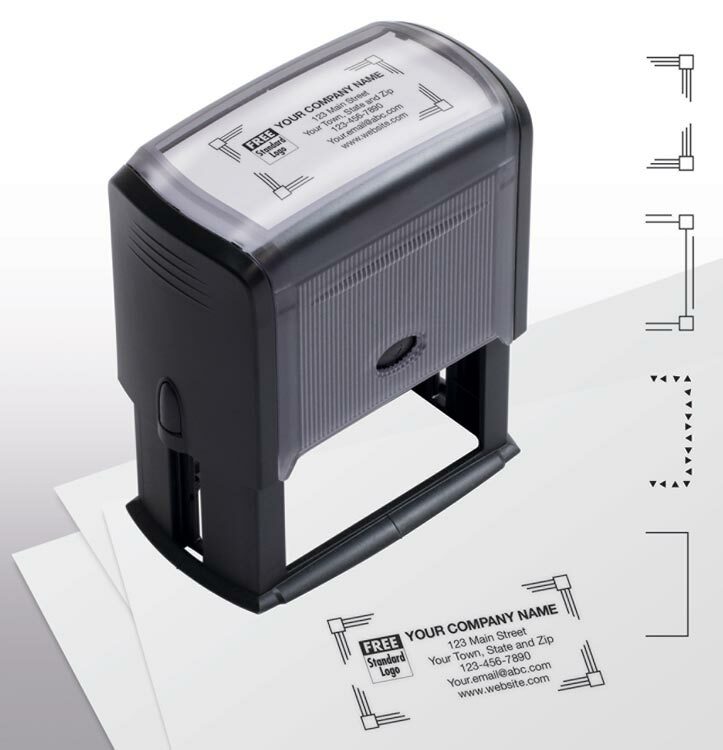 Not recommended for glossy surfaces.Use stamp on Federal ID numbers, Social Security numbers, bank account numbers, signatures, addresses, and more!